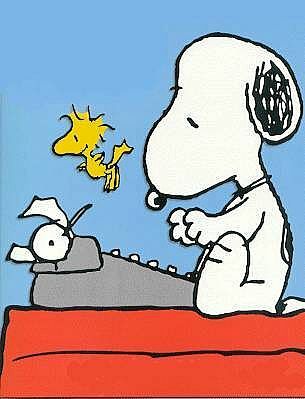 Update on my Book Writing… the Title has been chosen! Well, after four years of being knee deep into my first big book project, its finally almost here! I turned in the final manuscript to Baker Books early in May, and the process of nervous waiting began. I didn’t realize that when a publisher signs you that it is not official until they receive and approve the final manuscript. Due to that, I think that the window between submitting your final manuscript and having it be accepted is the most nerve wracking part of the whole process – even more so than the initial pitch to publishers. There was a month of not hearing anything, but the good news came shortly after. My editor was very complimentary of what he read, and felt like the material was strong. I was so happy to hear that, and excited to receive the proposed edits. I didn’t pay much attention to the word count as I wrote, and I forgot that i was contracted to write a book that was between 45,000 and 50,000 words. Turns out the final draft was 95,000 words. Whoops. My editor was able to eliminate close to 7,000 words just by deleting repetitive phrases and cutting excessive explanations. He talked to the marketing people to see how long the book could be and still fit within the specs, and told me that I had to get it under 75,000 words. So off to work I went, cutting, consolidating, and summarizing. I just barely got it under the threshold, but bottom line — its done! There was one more round of revisions that needed to be completed, and now its onto the endorsements and foreword (which John and Nancy Ortberg have graciously agreed to write for me). The other part of the process that has been really interesting has been the marketing side. I’ve really enjoyed working with their marketing team, and its been a very collaborative and energizing process. One of the first things they did… much to my surprise… was to change the name of the book. For the past 3+ years the book has been operating under the title, “Something’s Missing.” Much of the content is designed to help people who are actively pursuing God yet feel like there is something missing that they can’t put their finger on. I’ve never been crazy about that title, but it was the best I could come up with. I’ve heard so many people say something like that over the years, and I thought it would be a good hook to connect a broad audience to the heart of the material in the book. I have always loved that verse, and I think that Jesus’ promise to bring life in all of its fullness is a promise that taps into humanity’s deepest desire. But if most Christ followers are honest, this promise seems beyond our reach. Its an easy verse to quote, but a hard reality to live into. That is why, as much as I love that verse, I avoided integrating into the title. I feared that the familiarity might make it sound trite, and I am trying to do a very serious exploration of what fullness of life means and looks like. 10:10 – that has kind of a cool ring to it, doesn’t it? It took me a day to get used to it, but now I love it. I think its punchy, compelling and straightforward. There is a lot more I would like to say about that title. It is very meaningful to me, and it is one of those Bible-wide themes that helps develop a holistic, life giving perspective on God, on us, and how we live life to the full. Hah, what an eloquent way to say it! But you are totally right – that was always my biggest issue with the former. And yes, we’ll be there in force! Moses too?